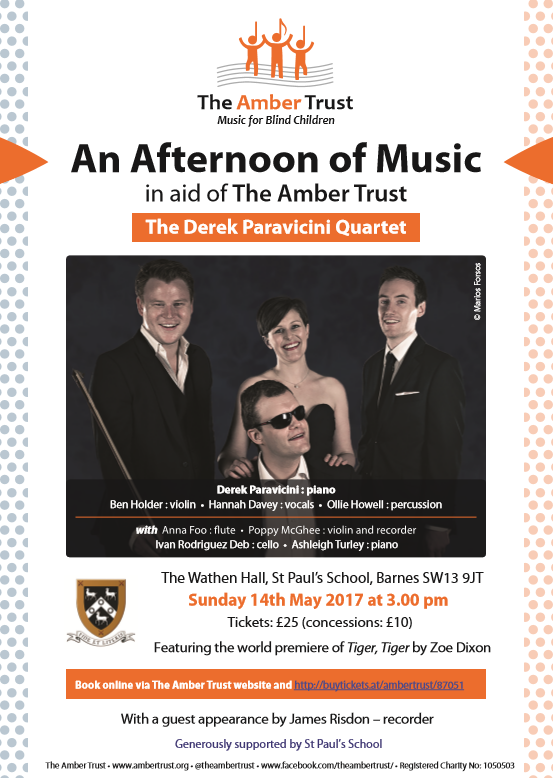 On Sunday 14th May 2017 at 3pm we are holding a fundraising concert at The Wathen Hall, St Paul’s School. 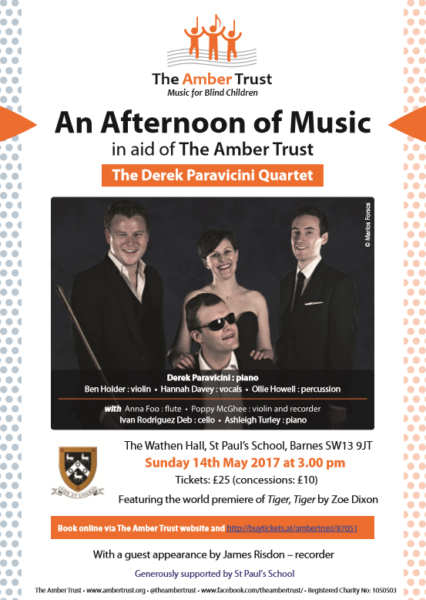 Our patron, Derek Paravicini, will be playing with his quartet and we will be showcasing some of the talented children we support. Click on the below flyer to find out more and buy your tickets here.